XOLO launches X910 android smartphone launched in India. 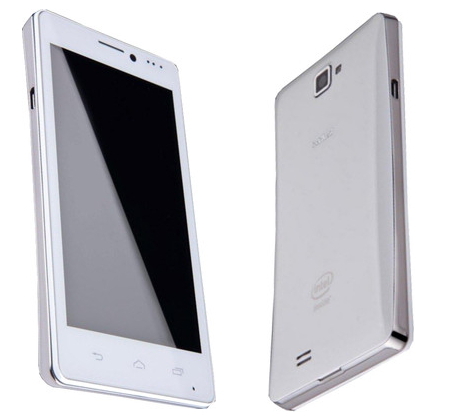 The phone powered by 1.6 GHz Intel Atom processor with 1GB RAM and runs on Android 4.0.4 Ice Cream sandwich operating system. The device features 4.3-inch qHD IPS display with resolution of 960 x 540 pixels. The phone comes with 5MP camera with Auto focus and LED flash and also 0.3 MP front facing camera. It has 4GB internal storage space and expandable up to 32 GB with microSD card. The phone packed with 2000 mAh battery, it supports WiFi, Bluetooth 2.1, USB 2.0 and more. 4.3-inch qHD IPS capcitive touch screen with 960 x 540 pixels. The phone now available on Flipkart online store for INR 9,999.